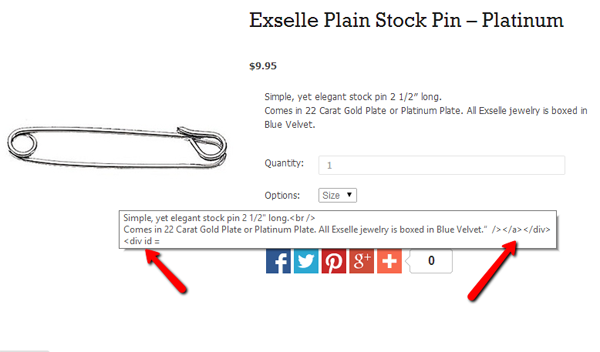 I can get to the product but when I hit "add to bag" the alternate images come up instead of going to shopping bag. This is being caused by code you have added to short description. This code is messing up the page. THis usually happens when you copy and paste and it brings the style code. Please remove this code and the issue will be resolved.